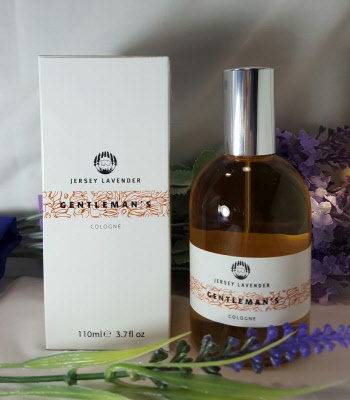 The Ladies Lavender Cologne spray is a classic perfume from Jersey Lavender with a subtle depth. It is made with a high percentage of smooth lavender oil and lightened with fresh citrus ingredients. The 55ml option is supplied in a clear glass bottle with a pump-spray atomiser. We also supply a Lavender Cologne for Gentlemen. Alcohol Dent, Aqua (water), Propylene Glycol, Sodium Sterate, Parfum (fragrance) Glycerin, Sorbitan Stearate, Linalool, Hexyl Cinnamal, Citronellol, Coumarin, Geraniol Limonene, Hydroxcycitronellat, Benzoate Citral. Ladies Lavender Eau de Toilette 55ml. 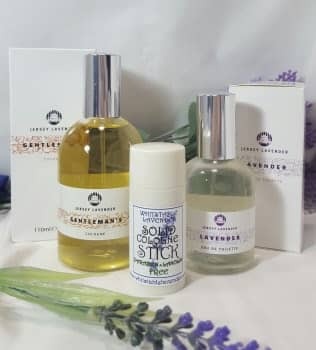 Made by Jersey Lavender who state that this product has not been tested on animals and no pesticides or herbicides are used on their lavender fields. The Gentleman's Cologne is a classic and traditional masculine fragrance (in perfumery-speak an aromatic fougere). 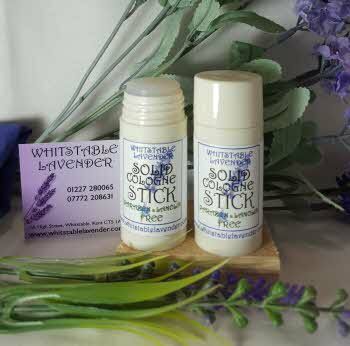 It contains lavender but the topnote is fresh and its heart is masculine, herbal, rich, woody, warm and exotic! 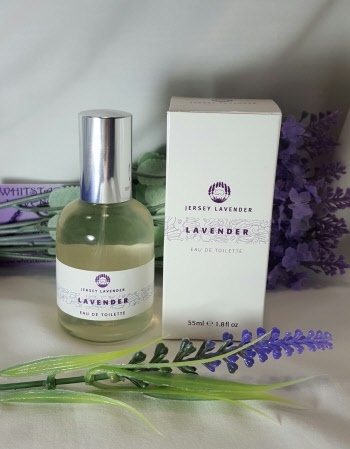 Made by Jersey Lavender who state that this product has not been tested on animals and no pesticides or herbicides are used on their lavender fields.